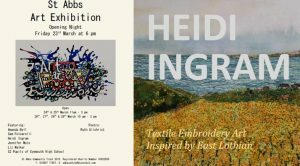 Local textile embroidery artist Heidi Ingram is exhibiting her landscapes at the St Abbs Art Exhibition from 24th to 29th March. 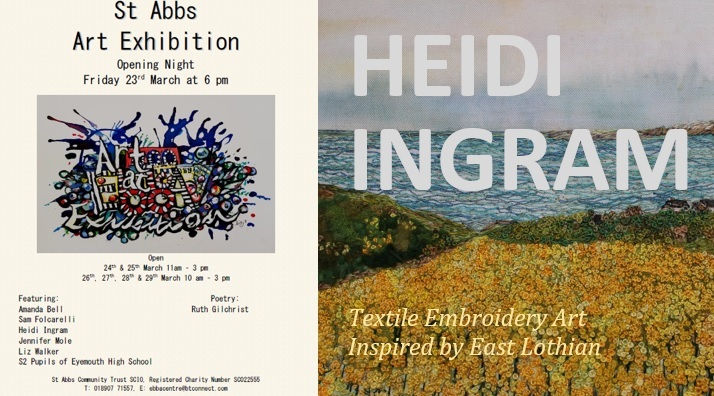 The exhibition is at the Ebba Centre, which has a lovely cafe attached, so if you fancy a day out go and take a look! 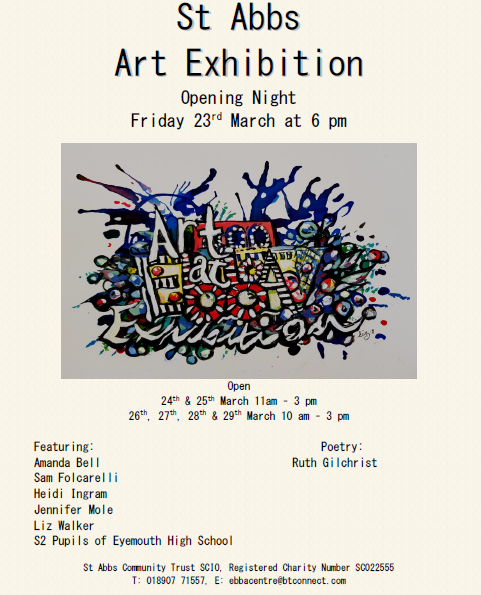 This entry was posted in Announcements, Fundraisers on March 16, 2018 by Admin.